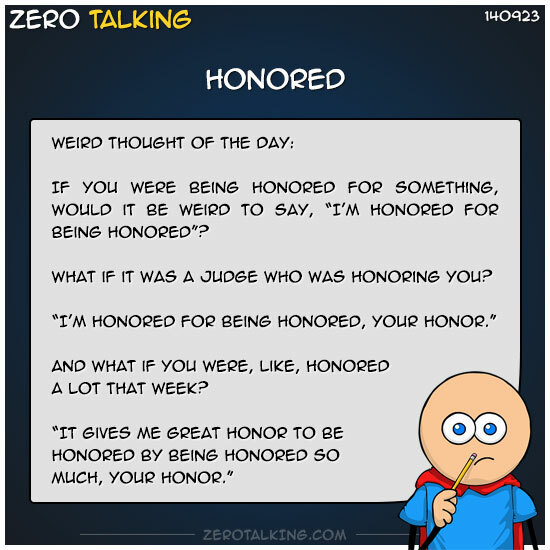 If you were being honored for something, would it be weird to say, “I’m honored for being honored”? What if it was a Judge who was honoring you? And what if you were, like, honored a lot that week? Carl: On my honor, I am honored for being honored for the numerous honorable honors I have received *on Her* Majesty’s Secret Service…. your honor.